For those of you who have watched me, you’ll know that I work primarily using Pro Tools, and I’ve been using Pro Tools since ’96, or ’97? It’s been about 20 years, and as a guitar player, moving from tape, Pro Tools was a godsend. 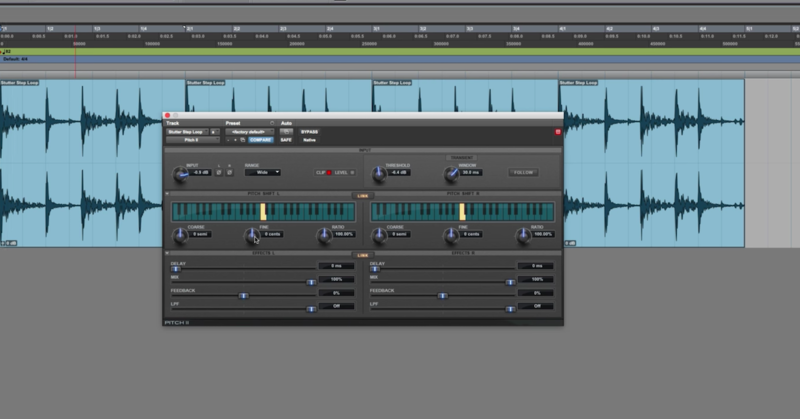 The great thing about Pro Tools is I felt like I could compete with a keyboard player. Keyboard players were able to play, record MIDI, then quantize themselves, or move themselves forward or behind, all kinds of fun stuff. As a guitar player on tape of course, we were sitting there, punching in, fixing, punching in fixing. Which is fantastic when you have a producer and engineer, but when you’re on your own, it’s time consuming. You are your own producer, you are your own engineer. So Pro Tools was a breath of fresh air in the mid-90’s. Many of us, mainly guitar players, really gravitated towards it. There was already incredible DAWs on the market. There was Logic, Notator, of course Cubase, Digital Performer, there were all of these systems that were geared toward MIDI and digital audio in that way, and Pro Tools came along and was really kind of revolutionary in the audio world. Now, we’re in a really incredible place, because depending on your genre, you can almost pick your DAW quite exactly. They all do a bit of everything incredibly well, and if you’ve been following me, you’ll know that I record and mix primarily in Pro Tools, but I do a lot of my keyboard stuff, my programming stuff on a laptop using Logic. The great thing about Logic is it’s inexpensive, and there are a lot of virtual sounds that come with it that are incredible. But recently, I’ve been working with a lot of artists and producers that are using Ableton. Coming up this week, we have an interview with the great Chris Lake. Chris is an incredible DJ and remixer, and he works in Ableton, and he’s really talented, and he’ll be showing us some of the tips and tricks he does. 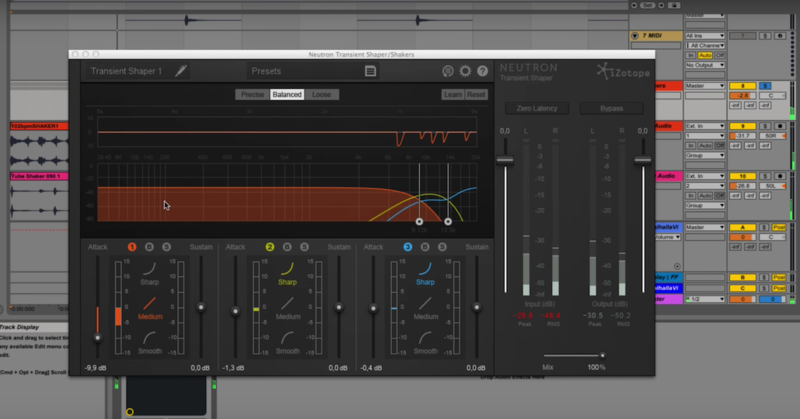 In the meantime, we’re going to do some stuff in Ableton with Alex, who is an apprentice here, who goes to the Recording Connection, and Alex is going to show us some of the basic of Ableton. I just downloaded it recently, and I’m right there with the rest of you who haven’t yet used it. A few weeks ago, I was working with Salaam Remi, and Salaam was producing Five Seconds of Summer, and he opened up Ableton and started dragging audio in, and it was remarkable what he could do. He would take the rough mix I gave him of Five Seconds of Summer, pull it in, and then it was reading all of the keys, it was reading the melodies, and it was recreating them, and it was just insane how musical it was. And if you look at the workflow in Ableton, you’ll get very, very excited by it. Let me be clear — Ableton are not paying me to talk about this. The reason why I talk about this is because as you know, I do this for a living. 10 to 12 hours a day minimum producing, engineering, and mixing tracks. Every day. Follow my Produce Like a Pro Facebook, and you’ll see me go live once, maybe twice a day, and you’ll see what I am doing every single day. So when I talk about these things, it’s because they’re right there on my doorstep. I’m working with artists, with other producers that are using these kinds of software. The different microphones that I like to show you are microphones that I get to use every single day. Nobody is paying me to do this, so I find it very exciting when a lot of young up and coming guys and girls are producing incredible music, and using things outside of Pro Tools. Don’t get me wrong, for me, mixing and editing audio in Pro Tools is second-to-none. I also know it back-to-front. As you know, I say all the time, the best DAW is the one you know, but if you’re talking genre, and you maybe want to get into Dance music, any kind of EDM, or if you want to do Pop production, Ableton is a very, very popular DAW, because the sampler is incredibly easy to use, and all of the functions it gives you are simple, intuitive, it’s designed specifically for those kind of producers that are doing Pop, Hip Hop, and EDM tracks. It’s a very, very easy to use software that every time I’m shown it, even for a brief few minutes, I glean a lot of information. So let’s meet Alex, and then Alex is going to take us through the basics of Ableton. So here I am, sitting with Alex Valente. How are you? Alex: Good, how are you? Warren: Alex is a very recent apprentice, so have you been enjoying yourself thus far? Alex: I have, yeah, it’s a great experience. I like it here. Warren: We have a lot of traditional equipment, as you can see. We have SSL console, we have old school microphones, drum kits, guitars everywhere, I think there are 40 guitars adorning the walls, and racks and stuff. But this is a new world, and I’ve really enjoyed everything I know about Ableton so far. So you’re going to show us some of the basics? Alex: Yeah, just some of the basics. Just a little intro of MIDI, the top bar where everything is, a lot of stuff. Warren: How long have you been using Ableton? Alex: A little over a year, probably a year and a half maybe, yeah. Warren: And now you’re getting to this place where you can build tracks really quickly? Alex: Yeah, I got — I just built a steady, really good workflow, and I got this skin for my laptop that shows me shortcuts, so that usually helps me a lot. 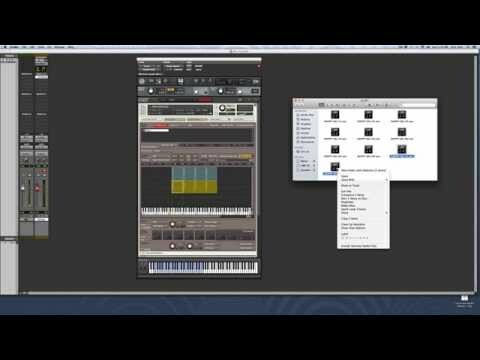 So that definitely helped my workflow, just trying to get on it every day and just trying to build your workflow is how you get comfortable with your DAW. Warren: Dreaming of screens and stuff? Alex: Yeah, definitely. Definitely a lot of that. Warren: I still dream of Pro Tools screens. Alex: Yeah, it’s worth it though. It’s the greatest. Warren: Well, awesome. Let’s get going and check it out. When you open Ableton Live 9, this is what you’re going to see. Usually, it starts with one audio, one MIDI track. That’s the default settings. You can change those in the preferences. Today, I’m just going to go over the basics. I’m going to start up here in this left corner. This is all referring to bpm, that’s beats per minute, this is all about the metronome. So right here we have the tap tempo. Tap it. It’s going to change the bpm according to how you tap. Default for bpm is 120. You can click it and drag down to change it down, drag it up to raise the bpm. These two tempo nudge up and down, this is more for like, live. Right here, you have your time signature numerator and denominator. So this is the measure and the count. So right here, it’s default at 4/4, that’s typical in dance and Hip Hop music. It’s a 1, 2, 3, 4, and by clicking it and dragging down, 3/4, 2/4, by dragging up, you can change it to 6/4. Right next to that, we have the metronome. So by clicking that on, it’ll turn yellow, just to arm it, and when you press play, you’ll hear your metronome. There’s a scroll bar below it, that’s just the count in times. Right here, you can have no count in time, one bar before your count in time, two bars, four bars, this is typically aimed for recording. So it’s going to start one bar before I wanted to record. So say I wanted to record in another room, you can have it set to four bars, click it, run into the other room, record. So right next to that, we have the quantization menu. So this orange button right here, that’s your starting point. Wherever this orange bar is. So when you click that and press play, you can press play up here, you can click that up here, it’s going to play. If you have this on one bar, it’s going to finish that bar and go back. So I usually have this on none. Right next to that, you have your follow button. So once this is activated, the window scrolls during playback, so it just scrolls through your track so it’s good for browsing through the whole track when you’re done with it. Right next to that, we have your arrangement position. So going back to that little orange marker, this tells you where that orange marker is, so when you press play, this is where it’s going to go. So if you’re working over here, bar 16 is where your starting point will be, and you can click anywhere, any bar, and it’ll switch to that. It lets me record over the MIDI. So it’s good if you’re trying to record over MIDI. Right next to that, we have the automation on, so this button, this allows you to record automation. When you have this selected, you can record automation. So the automation is this red line here on any track that you have. This is your automation line. So put this on, record the volume, and it’s going to show you a good visual of me just writing it in. So if you ever want to record automation for any particular reason. So this button, the re-enable automation, this is going to come up if — so say I have automation right here, so if I ever change the automation, it kind of lights up and tells you you just changed your automation — like, your recorded automation. So say I just have this track here. You can see I’ve automated the volume. So if I press the volume down, then that’s going to light up. It’s going to tell you you just changed your automation, because I overwrote the automation. So to just get that back, just click it. It’ll re-enable your automation that you printed before that. So right over here, these are loops. To loop a section, just highlight it, press Command+L, that’s your loop button, or you can click it on. So your loop is basically this bar over here, it’s going to be hovering over your session. You can turn it on and off, so yeah, just scroll back and forth to navigate how your loop is. Just replays it. Then you have right there. That’s the starting point. The punch in point for your loop, so this tells you what bar your loop is at, and on the other side of that, it tells you how many bars you’re looping. So I started looping at bar 29, and it’s looping for four bars. Right here we have the drum mode, so click that on, or key command for that is B. So this allows you to write automation, draw in MIDI, anything really. Drawing it so you just kind of go right there, click it off, use these little dots, drag them down. This right here is your computer MIDI keyboard. So this allows you to basically play whatever instrument you want, or you have on the track, and be able to play it on your keyboard. Right next to that we have our key mapping, and so basically what this allows you to do, it allows you to map any key on the keyboard to any one of these orange lit up buttons over here. I like to use R as record, so all you have to do is click the button that you wanted to arm, then click whatever key you wanted. So key R, global record. So I want to make — say I want to make a loop, L. So I click loop and L, and it shows up on this window right to the left. That is key mapping. Right next to that is MIDI mapping. So same idea. If you have a MIDI keyboard with knobs, what I use it for. So anything that lights up in blue, you can map to a knob on your MIDI keyboard, so I’m going to do volume, so I just click that there, then I just move the knob, and it just maps it over here, so it just tells you what knob is routed to where. If you ever have problems, if your knob is not mapping, go into your preferences, then go to MIDI sync, you’re going to want to click all of these on. Keep all those on for MIDI key mapping if you ever have issues with those. Every default session starts out with, like I said, MIDI and audio tracks. So maybe a rundown, these buttons over here, if you ever run into this, you can just click these on, just to get you your inputs and outputs. This gives you your return tracks, and this gives you just volume for inactiveness. So if you click this button over here, it makes the track inactive. This is the volume control down here. This button right here is for sending. Return tracks. Solo if you want to solo your track, that is the button to use. Arming your track, or recording your track I should say. Click this button right here. So if I have MIDI right here, it’s not going to let me play it until I have this button turned on. So always have that turned on if you’re trying to record. This right here, this is just automation selection. So everything you see right here you can automate. It’s your mixer essentially, so old school Rhodes, I want to — you can choose the attack, release, so this is what you want to automate, the below it is on or off the brightness, then you can do automation to that, and then you can tell if automation is on. There’ll be a little red marker in the corner right there. Going on to the left side, so this is all your sounds. This is all the preset sounds that come with Ableton. Right down here is drums. If you want to make Drum Rack, this is how you select Drum Rack. So you choose to hit the drums. Go into detail about that in a later video. This is all the instruments that you can use with Ableton. 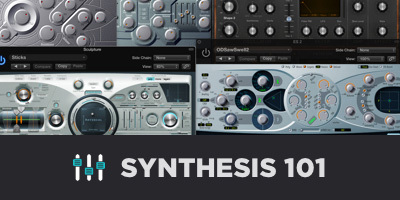 Audio effects, MIDI effects, this is where all your plugins and VSTs are. They’re going to be located in this plugins folder. All your samples, down here, you have your library, so you have your user library, you can create a new folder by right-clicking new folder, you can make your own sample pack, make your own presets, or anything like that. This is your sample pack library right below that. You can see everything I’ve collected over the years, a bunch of sample packs, so to add a folder on there, you just add this added folder, then you can add this sample pack on, or you can drag it into the DAW. Going back to MIDI, to make a new MIDI track, right-click MIDI track, or it’s Shift+Command+T for MIDI track, and for audio, it’s same thing, you can right-click or it’s Command+T. That is the key command for that. And if you go back, you lost it, it just tells you where to go. Search bar up here, so if I want a kick, the search bar lets you search through any sample packs. So say I’m looking for a kick, if I go over and click any of my sample packs, everything that says “kick” will come up. You can usually look through all of them. I usually use this “All results” button right here, and that shows you just all — everything that literally the name kick in it, or every kick you have will be right here. For zooming to navigate through Ableton is this little black bar. You can click it and drag down to zoom in, and drag up to zoom out. You can move side-to-side. Right here, we have a MIDI clip, so to insert a clip, it’s Shift+Command+M, or you can just highlight a section, right-click, and insert clip. Insert MIDI clip. Then down here, if you click this right here, it can give you your layout, then again, you can use B to draw. This is usually where I do a lot of my drawing. To zoom is also this button right here. This button right here, this fold button, so I only hit these four notes, so if I hit fold, it gives you every note that you played in the clip, and if you click off, it shows you the whole board. Allows you to hear what you’re trying to do, so if you’re trying to fix something, you can listen to it. Right down here, we have the velocity. As you can see, when I click this arrow, these little lines come up. So this is the velocity of the MIDI you’re playing at. So you can turn it down, you can turn it up, hit B, you can draw your velocity. I hope that helps. I hope you guys have a great day, thanks for watching.